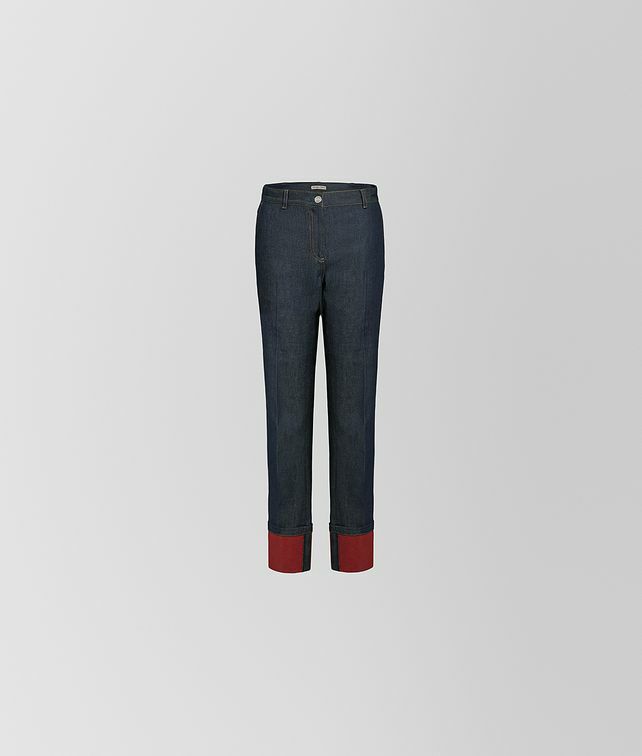 These stretch denim pants offer an unexpected twist: the cuffs fold up to reveal a pop of color and a side-seam finished in graphic Intrecciato Checker. The silhouette has a straight leg and medium-rise. Finished with two slash pockets at the front and two patch pockets at the back.